Wow! It is almost Christmas time already....all this time I was just concentrating on Thanksgiving and somehow Christmas is sneaking up on us. I am so excited for the Christmas season that I can hardly contain myself. How will I wait 25 whole days until Christmas. Oh wait, I have an idea, how about you make an Advent Calendar. An advent calendar isn't really a calendar, it is a special calendar that allows you to countdown the days until Christmas. You start on December 1st and you finish on Christmas day...which is December 25th. Every day, you mark one day off of the Advent Calendar, whether it is opening a little door or pushing down a bubble wrap bubble...there are many ways to make an Advent Calendar...find out some of our ideas below. Here is a simple way to make your very own Advent Calendar. Save toilet paper rolls and paper towel rolls. Cut the toilet paper rolls in half...if you want to use paper towel rolls, cut them down to the size of half of a toilet paper roll. You will need 25 of these halves. Glue them down on a piece of cardboard in the shape of a christmas tree, as seen in picture #1 above (you can wrap the piece of cardboard in wrapping paper or paint it red or green to make it look more festive.) Cut circles slightly large than the width of the toilet paper rolls, from colorful paper or wrapping paper. Place a piece of candy or a treat in each toilet paper roll. Then glue the wrapping paper circles over top of each cardboard tube, as seen in picture #2 above. Next print out numbers 1-25 and glue them on top of each circle. 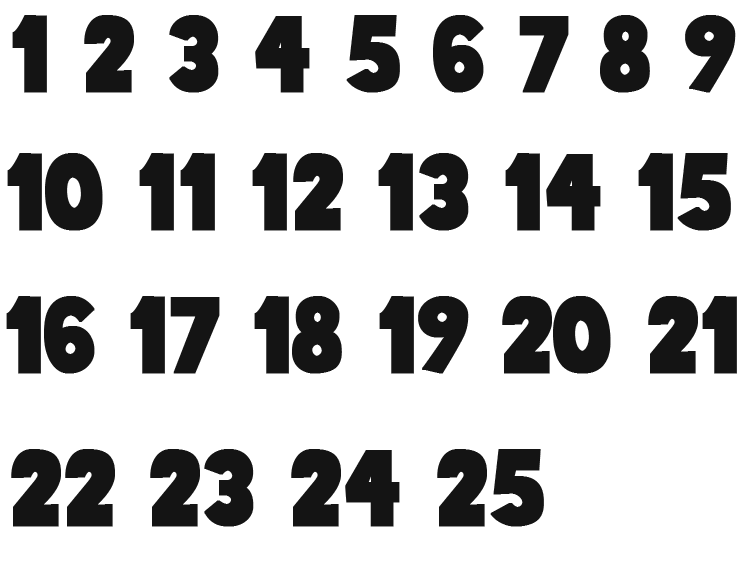 Starting 25 days before Christmas, you can use this Advent Calendar to count down to Christmas. Each day, you can have one treat, when you have reached the 25th treat, it is Christmas Day. Halloween Candy Advent Calendar - Use Magnets, Halloween Candy, and Decorative Wrapping Paper to Make the Coolest Advent Calendar Ever as a Countdown to Christmas. Bubble Wrap Advent Calendars - These are fun to make and easier to make. It is fun to pop each bubble as you countdown to Christmas Day.